Beautiful. Quiet. Private. An incredible getaway cabin! We had a fabulous time and would definitely consider coming back! This cabin was even better than we expected it to be, and our expectations were high! The cabin itself was very cozy, with a great fireplace and hot tub, a beautiful open kitchen and a lovely bathroom, but the real showstopper was That View. It was unreal. 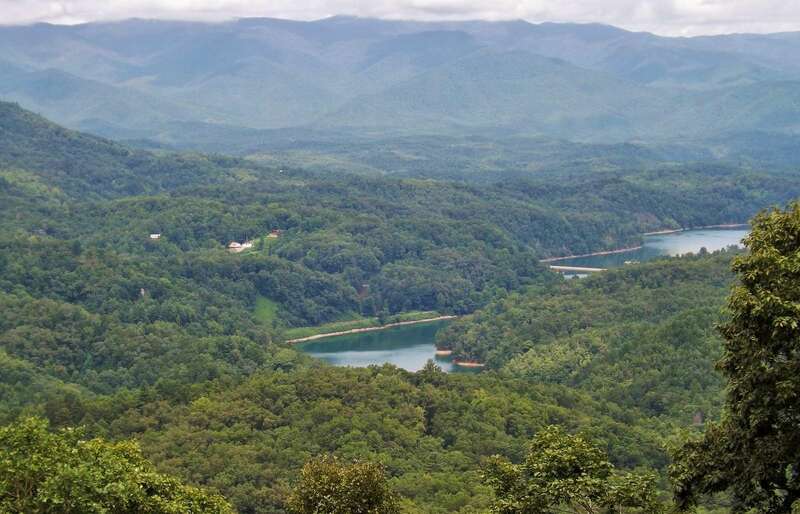 The cabin is pretty close to Bryson City and the Nantahala Outdoor Center, so if you love doing active outdoorsy stuff, you will never want for things to do. But honestly, you can have an amazing time just hanging out in the cabin, walking around the woods, soaking in the hot tub and enjoying the solitude of the mountain. We couldn't have asked for a better place to spend our vacation. This is a little gem in the mountains! The pictures don’t even do it justice- it’s 10x more adorable with 10x more amazing views. Super clean and up to date! We had the most perfect get away!!! 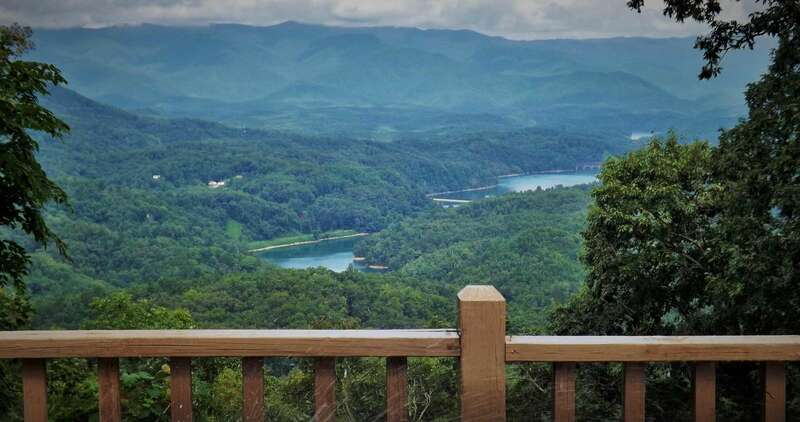 Although the property is billed as a honeymoon cabin, we can assert that it's also good for couples who'll be celebrating their 25th anniversary later in the year. We needed a quick weekend getaway and this was the perfect place. The weather was beautiful, the view was great, the cabin was perfectly outfitted. Our corgi loved taking walks and seeing (perhaps also barking at) deer and wild turkeys in the morning. 🙂 Bryson City was an easy 25 minute drive and we ate Easter dinner at the Everett Hotel Bistro...delicious. My husband is already talking about returning. 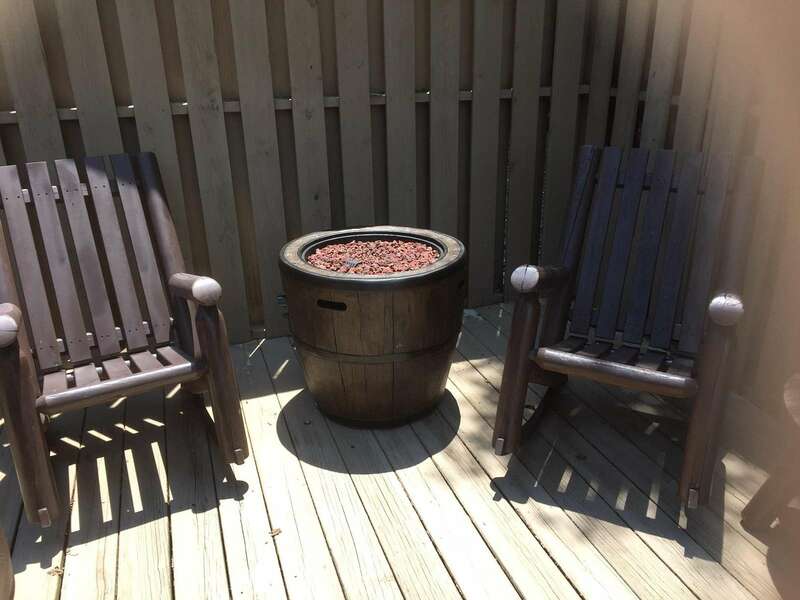 If you are in need of some R&R this is the place to be. 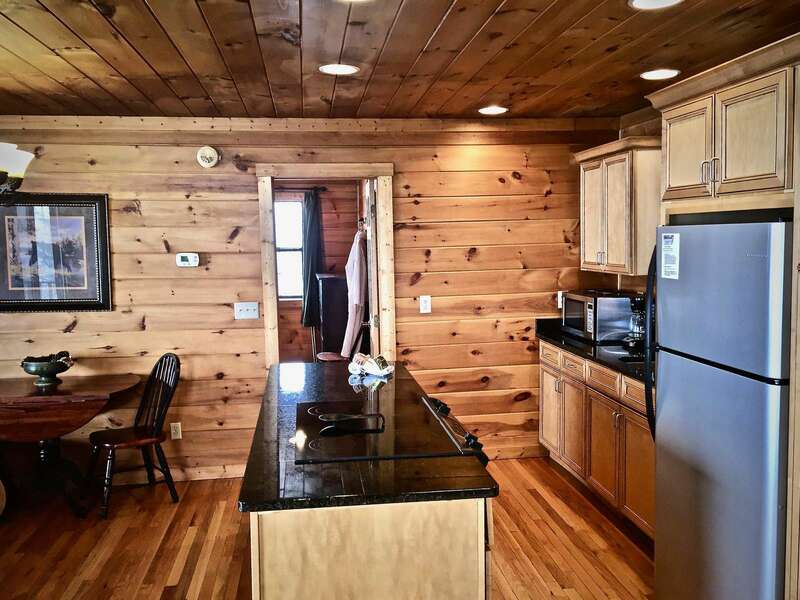 The cabin is beautiful inside and out. It is very peaceful and quite only sounds at night while we were relaxing on the front porch was the babbling brook and a dog barking occasionally. We loved watching the moon and sun coming up through the trees. We were blessed to have a full moon and beautiful weather during our stay. The cabin was adorable, so clean and comfortable. Kitchen was well stocked for cooking and serving. The bed was the most comfortable I've ever slept in, my bed just doesn't compare, I'm actually sore from going back to my less soft much flatter mattress haha. The view was absolutely breathtaking! We walked around the corner for the first time and were in awe. Watching a small rain storm roll in off the mountain while sitting on the covered porch was amazing. The hot tub at night watching the fog and the clouds roll around the mountains was the best easy to wind down after day of tubing on the creek. Even the shower was great, very roomy and clean. The cabin is next to another but we barely saw the people staying there, only when we were both going to our cars, the hot tub and deck were both very private and it all felt very secluded. The drive up the mountain was exciting but our 2 wheel drive vehicle did just fine even in the rain. Overall this was the best trip we have taken, it truly made our 10th wedding anniversary perfect. We can't wait to come back maybe with the kids and try another one of their beautiful bigger cabins. 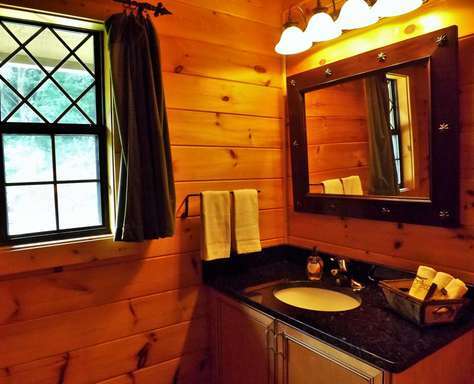 The cabin is very clean, cozy and comfortable. Hot tub was very enjoyable. Got a little cool, so the fireplace was a nice touch. It was rainy during our stay, but the furnishings allowed naps and good night sleeps. It is close to area attractions. Scenic roads allow views God's beautiful creations. My husband and I loved this cozy little cabin. It was a perfect, quiet honeymoon spot. The hot tub was lovely, view even better. This cabin probably had to have had the most comfortable bed in the world. We can't wait to come back! Great little cabin with an awesome view! The Majestic View Cabin was just that. 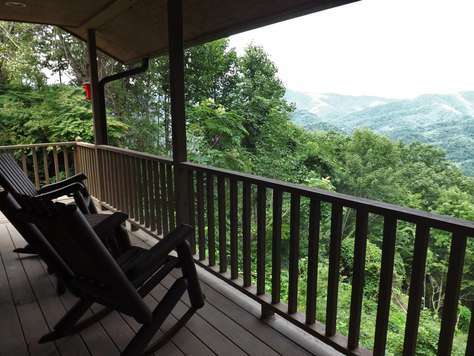 It was hard to pull us away from the beautiful views offered from the hot tub and porch swing. We will definitely be back to this secluded beauty! Oh, and the guest book with everyone's memories was precious to go through. The perfect way to spend our anniversary. Would recommend to any and everyone! 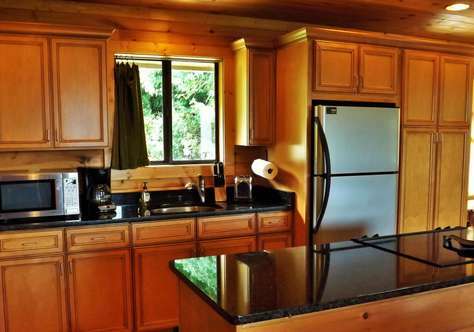 The property is lovely and cozy, yet modern. It definitely just right for two people. 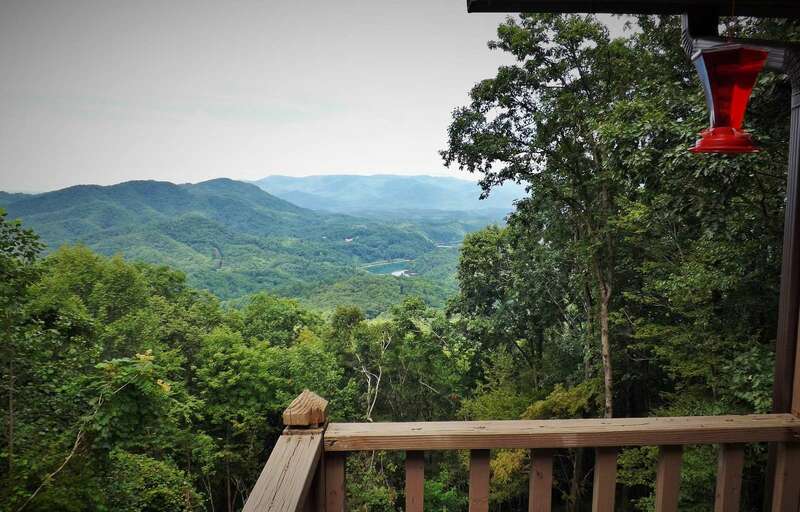 The view off of the deck is spectacular. 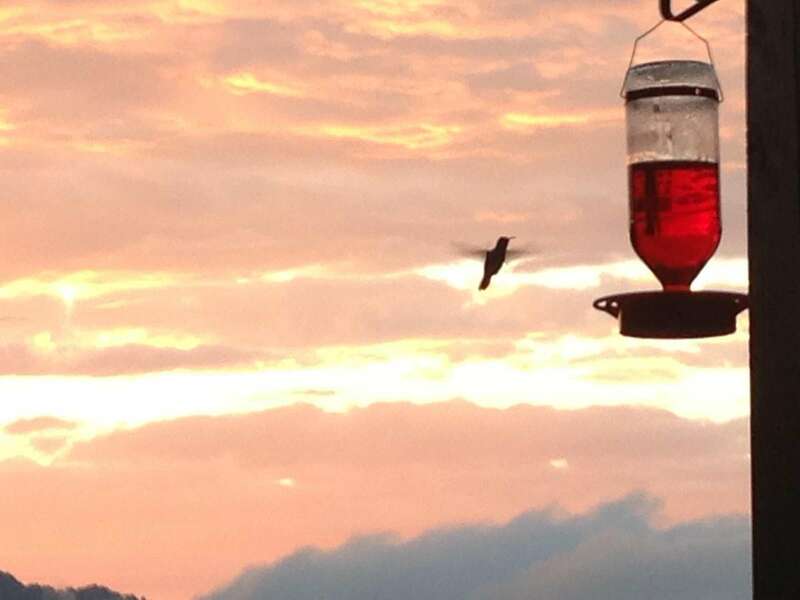 The hummingbirds and butterflies have ample flowers to feed upon and give you a show as you are taking in the view. 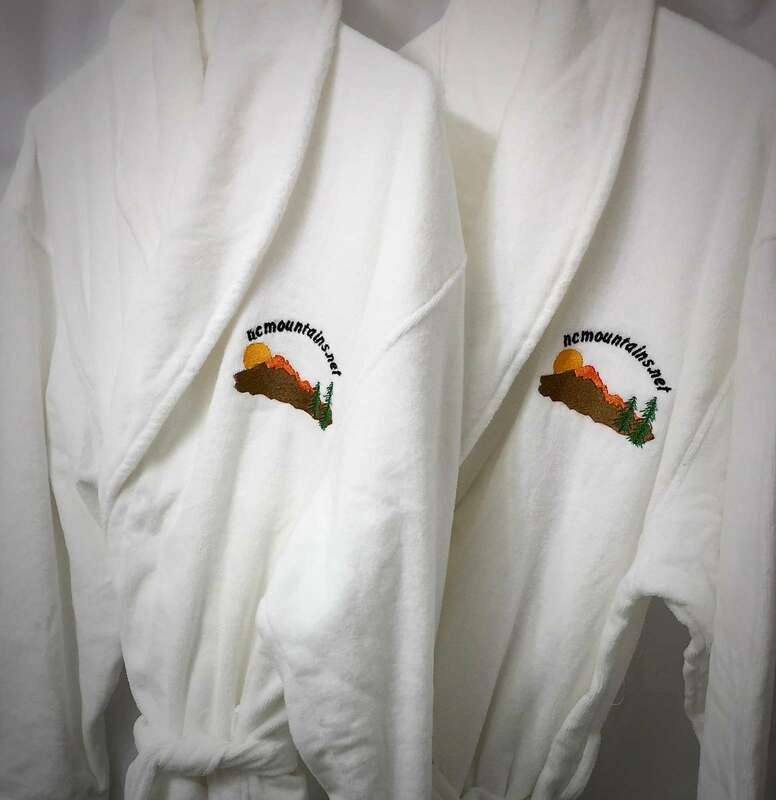 Sitting in the spa at night gazing up at the stars or relaxing in the spa during the day while enjoying the beautiful lake/mountain views, are two of our favorite memories of this special place. 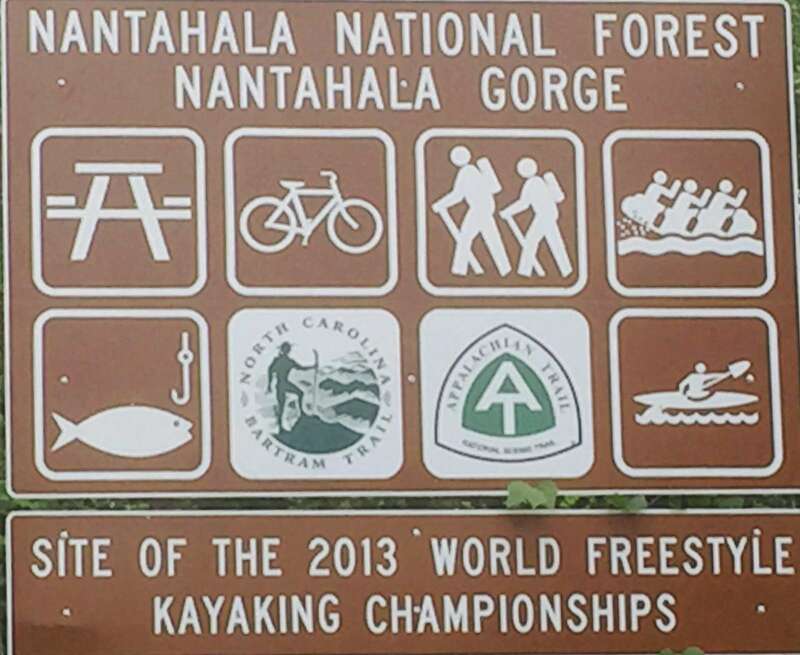 We enjoyed kayaking and swimming on Fontana Lake just below Tsali Campground, the gravel drive to Wesser Water tower trailhead and biking on Telllico Road along the Little Tennessee River. 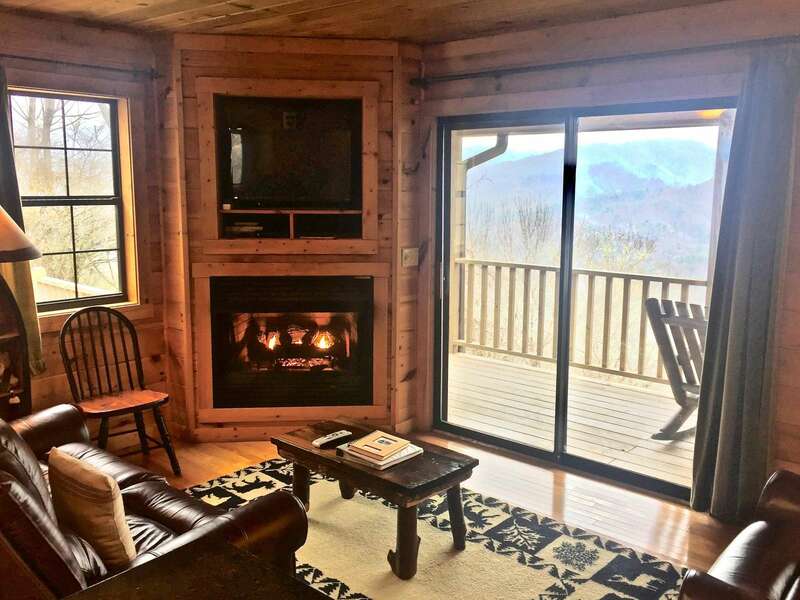 This cabin offers a great location to take in all that the Smokies have to offer. Would come back in a heartbeat! Easily could spend a week here and never get bored! I rarely feel this strongly about a property. You should see for yourself. Someone else said it about this area--it's heaven on earth! My wife and I celebrated our wedding anniversary. While the first trip up the mountain for Floridians was a bit of a shock, we got used to it pretty quickly. 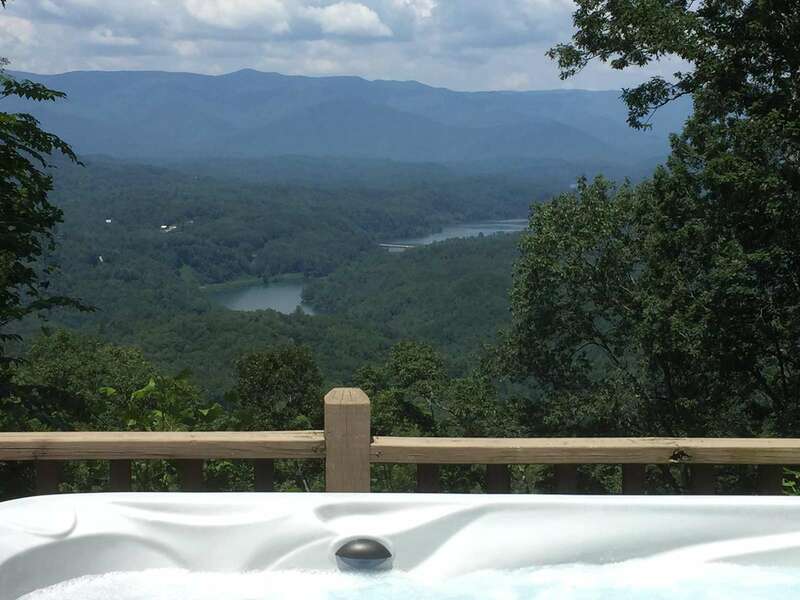 We enjoyed the serenity, great views, and the hot tub. There are plenty of activities to enjoy within a 30 minute ride of the cabin. Perfect size cabin for two. We loved our stay! 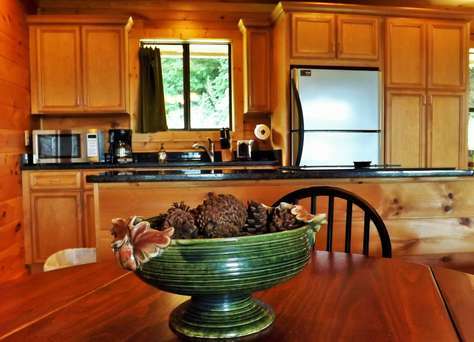 The cabin was perfect for the two of us and was exactly what we wanted: quiet, romantic, secluded. It was also immaculate and tastefully decorated. The original plan was to not leave the cabin and to just sit on the porch and enjoy the view. Of course we did that, but we also ended up leaving the cabin and exploring a little bit. We love the area because it is beautiful and still somewhat undiscovered.. not "touristy." We explored Deep Creek and the Smokey Mountains. One of our favorite things was sitting in the hot tub at night under the stars. We will definitely come back to this place! We thoroughly enjoyed our stay. The location was a bit challenging to find, but once you find it, you are good! 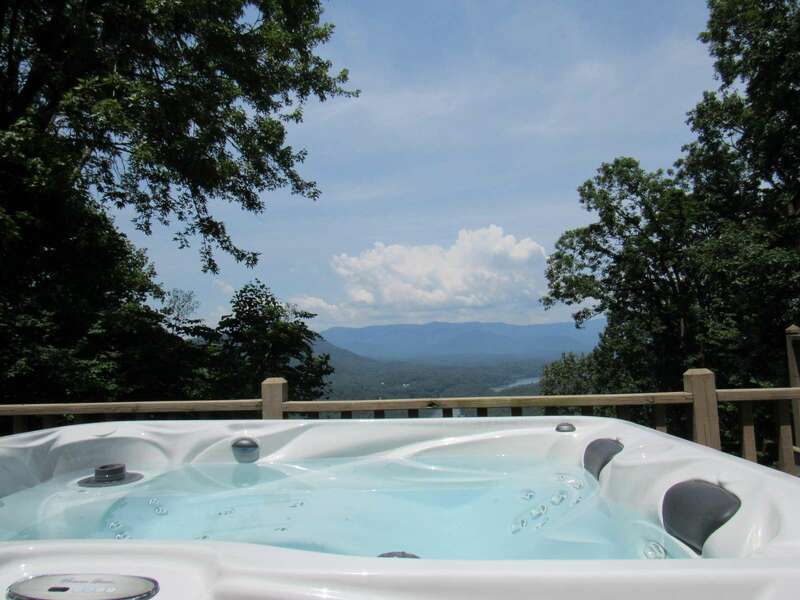 The view from the hot tub was great! The rental was setup well with equipment and it has a really nice shower! We will definitely be coming back, hopefully before our next anniversary. For the price and the location, it will be nearly impossible to beat this. Great location and such a cozy cabin. 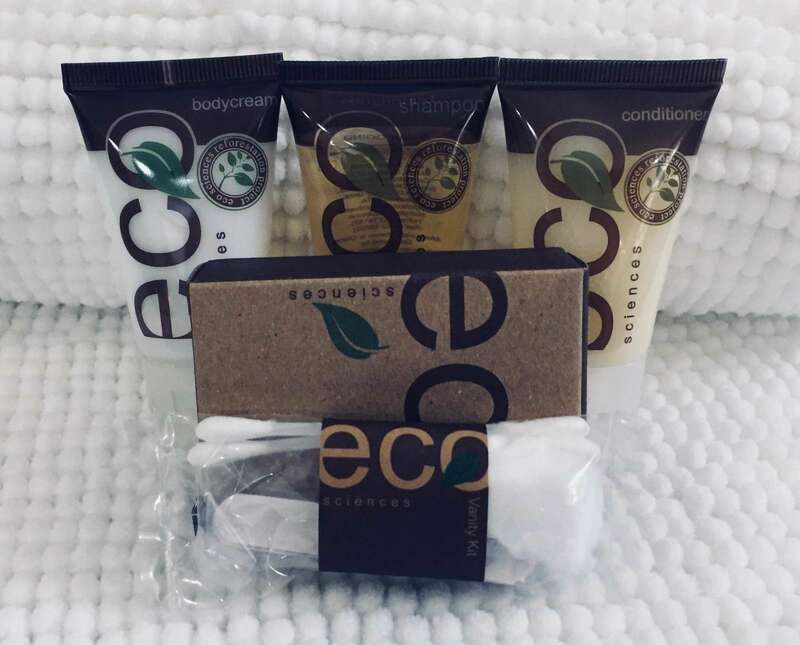 Everything was clean and my husband and I had a great time relaxing! So Relaxing and Romantic.We were not on our Honeymoon, but we felt like we were! This cabin is so much more private than we thought and we loved watching the Views change with the weather. We will be back, but not soon enough! 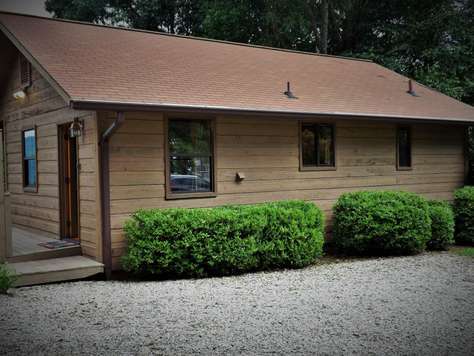 This Cabin is new to my Vacation Rental Program, but stay tuned for "rave reviews" to come!